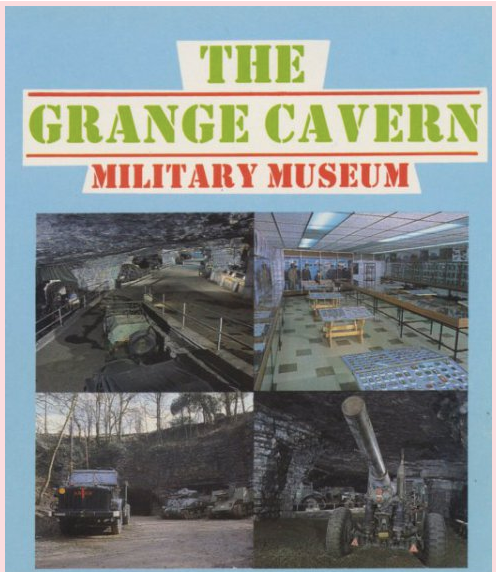 The Grange Cavern Military Museum was housed in a limestone cavern near Holywell, Flintshire. The cavern was excavated in the 19th century and taken over by the Ministry of Defence at the beginning of the Second World War. Eleven thousand tons of bombs were stored there including the bouncing bombs of Dambusters fame. 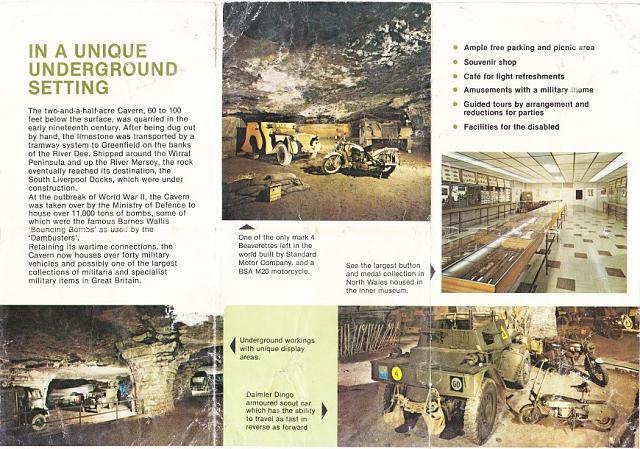 The cavern housed over forty military vehicles and a large collection of medals. It closed around 1989. 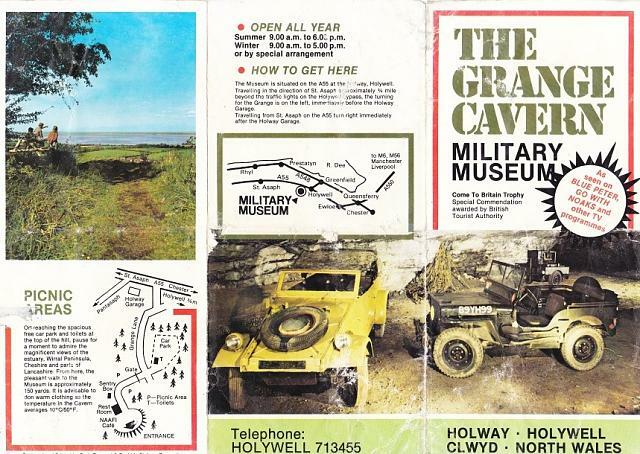 Images via Historic Military Vehicle Forum and The Home Front Museum. ← Galleries without collection: in or out of the surveys? 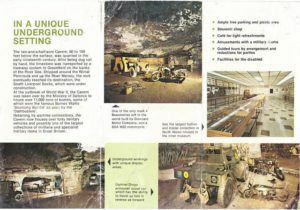 I visited the Grange cavern museum as a young boy with my parents, I loved the displays and the setting. I often wonder what happened to all the display items and vehicles etc….? I too visited the museum in the early eighties. The one story I remember from the record displays was the story of a 14 year old drummer boy. After his platoon was nigh on wiped out in one battle during the peninsular wars and he was promoted to colour sergeant. A couple of weeks later he was demoted to Corporal after being drunk and fighting in a tavern.